Marc Olivier of Domaine de la Pépière produced his first wine in the 1980s. His vineyards are located in the western part of the Loire in Muscadet. Muscadet is known for its white wines with Marc Olivier’s Clos de Briords appearing in this blog several times. 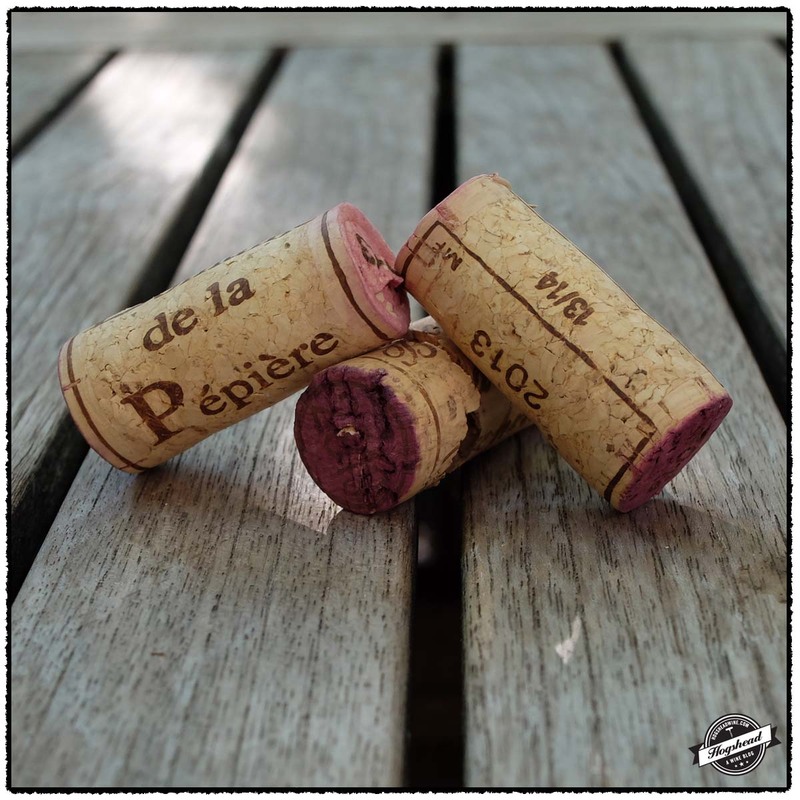 Today’s post features his three red wines. These wines are made with fruit from a single plot of 40+ year old Cabernet Franc as well as young plots of Côt, Merlot, and Cabernet Sauvignon. 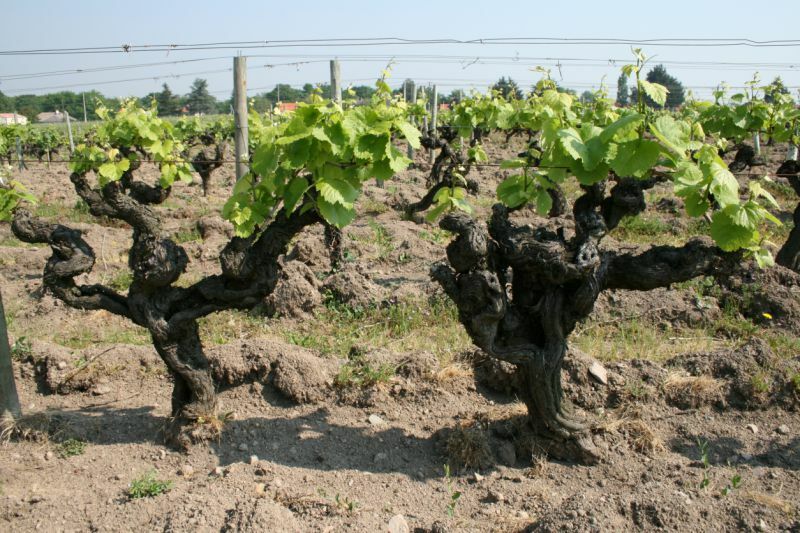 According to the excellent Le Pépière (Loire) post on Wine Terroirs these plots are on soil of Granit de Clisson with south-western exposure to aid in ripening. Old vines. Image from Domaine de la Pépière. We tasted these wines over a period of three days and they remained rock stable. Marc Oliver does not add any sulphur at bottling because he aims to already have enough free sulphur in the wine left over from its addition during élevage in the winter. There was no hint of the dreaded Pilsner note. Instead these remained fresh, young, and aromatic wines. The flavors lean towards the tart and dry with lively acidity so these may not be wines for everyone. 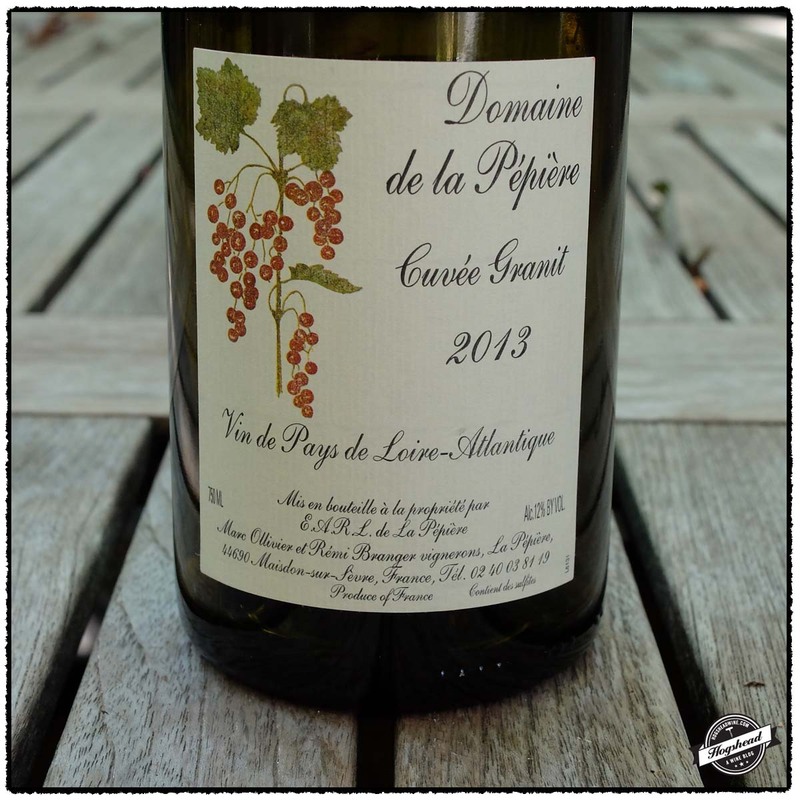 The 2013 Domaine de la Pépière, Le Pepie, Côt, VdP Loire was the simplest of the three. 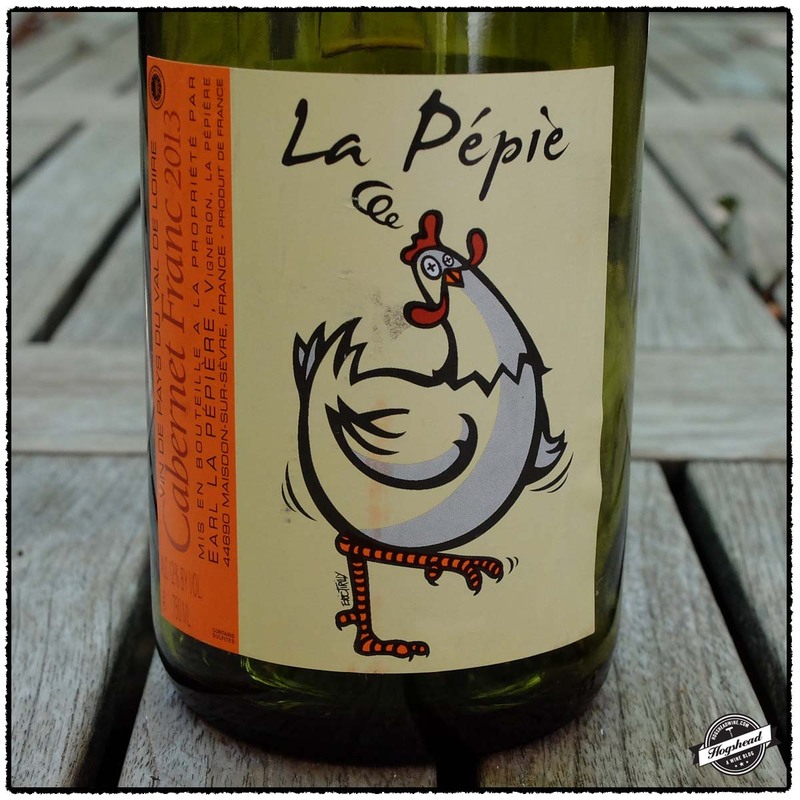 The 2013 Domaine de la Pépière, Le Pepie, Cabernet Franc, VdP Loire – $13 offered more expression with an interesting tension from the ripe and dry flavors. My favorite was the 2013 Domaine de la Pépière, Cuvee Granit, VdP Loire which had a more complex nose and impeccable balance. 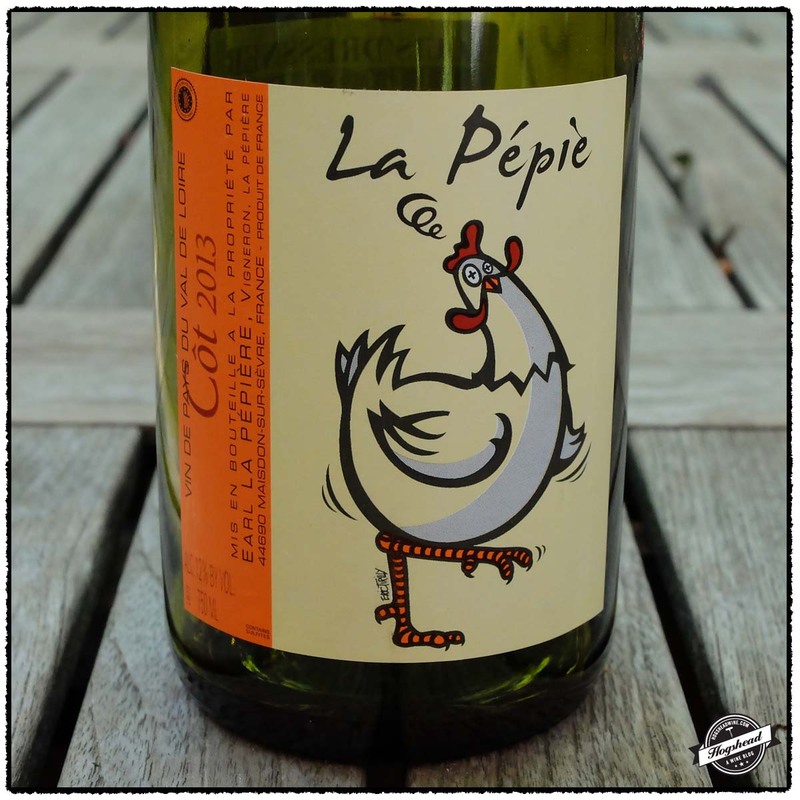 It steps forward from the young and grapey Le Pepie wines to show more gravity. These wines were purchased at MacArthur Beverages. Imported by Louis/Dressner. This wine is 100% Côt sourced from young vines around 10 years of age. It was fermented in tanks. Alcohol 12%. The nose revealed orange hints mixed with red fruit. It was a simpler nose with less of the white pepper and graphite. In the mouth were light, lifted flavors that were tart and started with some spritz on the tongue. It had good acidity, a light grapey nature, and reacted well to air. ** Now-2019. Imported by Louis/Dressner. This wine is 100% Cabernet Franc that was fermented in tanks. Alcohol 12%. There was a very light nose of cranberry and tart, red fruit with hints of fresh white pepper. In the mouth this wine had textured and lively acidity, tart dry red fruit, and a ripe, wood polish note. Its hard to describe but there was a nice contrast to the ripe flavors and dryness of the wines. ** Now-2019. Imported by Louis/Dressner. This is typically a blend of 50% Cabernet Franc, 20% Côt, 20% Merlot, and 10% Cabernet Sauvignon. Alcohol 12%. This bore a nose of fine graphite, white pepper, and sweet floral potpourri. In the mouth were tart, red fruit then black fruit. The white pepper continues through the wine. The lighter and dry flavors had watering acidity before turning tart black with very fine ripeness in the finish. **(*) 2015-2020.